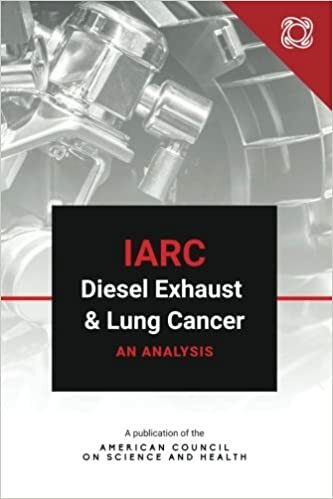 Gary Ruskin, the chief junkyard dog of US Right To Know, an industry front group created by Organic Consumers Association to harass and intimidate scientists, has managed to pay-to-publish a Short Article which allows him to claim he has been in a peer-reviewed journal. That has to be placed in context. In an open-access digital world, where thousands of predatory journals now exist which allow anyone to buy the right to claim they have been peer-reviewed, being peer-reviewed doesn't mean what it used to mean. If I gather five astrologers to review some article on astrology and put it in an online astrology journal, then astrology has now been validated in a peer-reviewed publication. You can be a swing dance instructor/yogic flying instructor like Ruskin's usual sources against science and if the credit card clears, you are in a journal. In Mr. Ruskin's case, it might as well be the equivalent of a journal called Obama Birther Flat Earthers 9/11 Truthers Against Vaccines For UFOs. That's how the science community looks at an article quote-mining one email exchange that appears in the social science journal Critical Public Health. How much did Ruskin pay to claim he was in a journal? 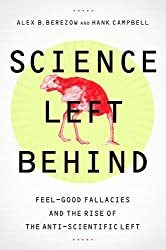 The title he paid to publish is "How food companies influence evidence and opinion – straight from the horse’s mouth" and he is joined by three anti-science activists from the same department of the same school in New Zealand. They promise us "The results provide direct evidence" of their belief in vast right-wing pro-science corporate malfeasance but it turns out to be a conspiracy theory fabricated from just one email between two retired colleagues from Coca-Cola. (2) Instead of being an actual examination of industry influence of food science, it is what Katherine Rich in Food Navigator rightly dismissed as hyperbole spun "with all the fury and outrage of Watergate." First, you should see the email they claim is proof that all science is under the control of Big Soda and only a plucky industry front group like US Right To Know saves us from a diabetic coma. You can read it here. I won't say it's long, since I can't order lunch in under 1,000 words, but it will take a few minutes. As you can see just at the top, they are talking about the perils in allowing anecdotes to replace science. We all agree with that. Ruskin doesn't, of course, his clients pay him to push anecdotes in place of science, so they can sell their magic soap and their health halos and overpriced exercise videos. 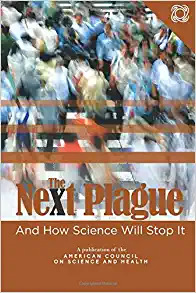 I've never gotten a penny from Coke, I've never even gotten a free Coke from Coke, I have certainly never purchased a Diet Coke, but I am sure in some email somewhere I have defended science against junk epidemiology claims about aspartame, about soda, about obesity, etc. In the hands of a gifted con artist like Gary Ruskin, who could quote-mine my statements on those issues and then ask 'How can anyone not conclude that guy is funded by Coke? ', he could certainly quote-mine my emails to read like I have been given money by Coke to produce favorable science and get Danny Hakim at the New York Times or someone at Russia Today to repeat his conspiracy theory, despite the fact that I have never gotten any money from Coke and it wouldn't change my thoughts on Coke if I did. If you look at the other ancillary "sources" for this article, you will chuckle as well. Let's see, there is Carey Gillam, a former journalist who was fired by Reuters after an examination of her work due to concerns about her anti-science bias. Wait, it's just a Huffington Post blog post. That's a reference? AND SHE'S RUSKIN'S EMPLOYEE? Then there are the co-authors themselves making wacky hyperbolic claims. Where are the editors? Where is the editorial board? (3) Who peer-reviewed this, Ronnie Cummins at Organic Consumers Association? Marion Nestle? Their article is actually a lot worse than what I have shown but Katherine Rich at Food Navigator did an exhaustive analysis so I don't need to duplicate her work. It's as fake news as fake news can get. What does it say about social anthropology and other social sciences in this journal that poorly-researched conspiracy theories about food, with employee blog posts and press releases as sources, appear in the same publication? Should you be giving $3,000 of hard-won grant money to this corporation when they will publish absolute anti-science dreck alongside your work? (1) You can replicate finding the amount you will have to pay to have your short article in Critical Public Health by scrolling through the 2,577 journals Taylor & Francis has for you to choose from. They are number 492. The APC is on the left. The screenshot is from their site and duplicates the region and format Ruskin chose. (2) In 2012, after we chastised New York City Republican Mayor Michael Bloomberg for claiming that banning sodas would prevent diabetes, while juices and Starbucks drinks with more calories and sugar were okay, Coca-Cola sent us an unrestricted grant equivalent to 0.01 of our budget. We used that money to continue to separate health scares from health threats and an analysis of our output showed no difference in articles discussing soda, much less Coke. Ruskin and his acolytes continue to claim that a tiny unrestricted then means we are secretly advocating for Coca-Cola five years later. 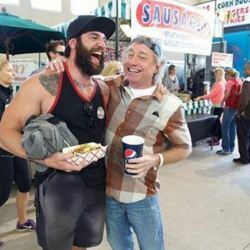 Crossfit CEO Greg Glassman has also claimed that Coca-Cola causes Type 1 Diabetes, and Crossfit is one of the corporations that funds US Right To Know's attacks on scientists and doctors.